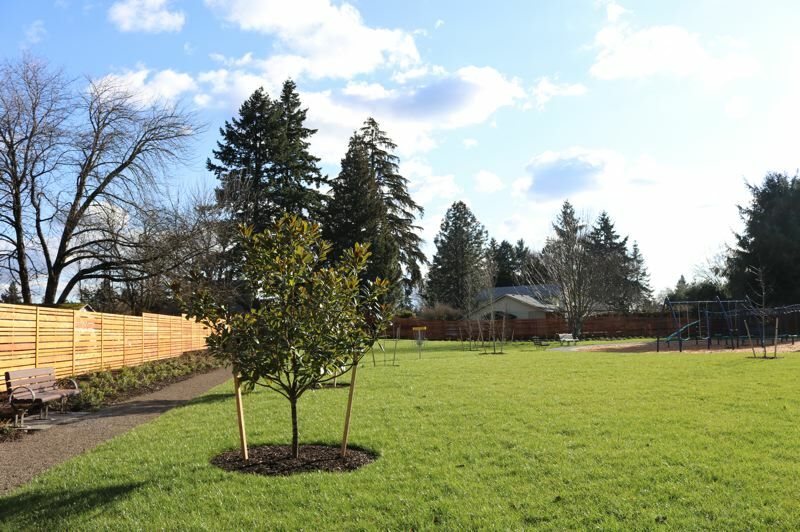 The North Clackamas Parks & Recreation District is set to open two new family-friendly parks in the Milwaukie/Happy Valley area. First up, a grand-opening celebration will take place April 20 at Wichita Park, 5908 S.E. Monroe St., Milwaukie, followed by a community celebration June 22 at Hidden Falls Nature Park, 14488 S.E. 152nd Drive, Happy Valley. Parks district officials are "thrilled to have worked alongside our project partners and the community to bring these two new parks to life," said NCPRD Director Scott Archer. "These vibrant green spaces will provide safe, healthy, fun and welcoming gathering areas for all district residents to play, connect and be inspired." Both parks feature revitalized spaces that bring connections to nature, community and recreation. "NCPRD is excited to host the Wichita Park Grand Opening Celebration, in partnership with the city of Milwaukie, the city's Parks and Recreation Board and the Linwood Neighborhood Association," said Melina DeFrancesco, NCPRD marketing communications manager. The event takes place from noon-2 p.m. and is an opportunity for the community to come together to celebrate the new park. It will include a musical performance by Red Yarn Band, food, NCPRD RecMobile activities and Earth Day crafts for kids, information booths, speeches and a ribbon-cutting ceremony, DeFrancesco said. "The park site was originally owned by Wichita Water District, and was eventually transferred over to the city in 1987. The site has been identified as the location for Wichita Park since 1999, when the park was adopted into the city of Milwaukie's Comprehensive Plan," she said. The 1-acre undeveloped park site previously consisted of an open area with trees planted by volunteers. A decade in the making, the community played a vital role in the design process for Wichita Park. The final park master plan was approved by the Milwaukie Planning Commission in 2014, DeFrancesco said. In October 2016, the city and NCPRD were awarded a $265,000 grant from the state of Oregon's Land and Water Conservation Fund to cover half of the cost to develop the park. Combined with NCPRD capital improvement funds and a grant from the Linwood Neighborhood Association, construction of the park was able to begin in summer 2018, and the park officially opened this past month for all to enjoy. "Nestled in the heart of the Linwood neighborhood, the park is in walking distance to many of the surrounding homes and provides a welcoming green space for neighbors to come together to play, socialize and stay active," DeFrancesco said. The park provides recreational opportunities for various ages and interests, from a playground for children and disc golf for adults, to leisurely walks along the pathways or simply relaxing at one of the picnic tables or benches. Wichita Park will be a hub for community events and gatherings, including NCPRD RecMobile visits in the summer. The park also will be an activity area along the city of Milwaukie's CAReFree Sunday route on Aug. 4, DeFrancesco said. "Lynn Sharp was a driving force behind the community-led design process. To celebrate her work as a champion of urban green spaces, the Milwaukie Parks and Recreation Board and Linwood Neighborhood District Association arranged for a memorial to be placed in the park," she said. DeFrancesco added that the majority of trees previously planted in the undeveloped site by volunteers have been saved and integrated into the park. For more information, visit ncprd.com/wichita-park-project. The RecMobile schedule is available at ncprd.com/recmobile. NCPRD announced that Hidden Falls Nature Park, a 21.3-acre urban oasis in Happy Valley, will open April 15. The official grand opening ceremony will take place from noon-3 p.m. June 22, and will include food and family activities. "This unique piece of property provides access to a previously 'hidden' waterfall, as well as a paved multiuse trail, a new timber bridge over Rock Creek and viewing/resting areas," DeFrancesco said. The 0.84-mile of multiuse trail also provides an important link in the regional Mt. Scott/Scouter Mt. Trail Loop, connecting surrounding schools, parks and other public facilities. NCPRD collaborated with Icon Construction on the project, working over the course of three years to identify funding sources to make the complex development and preservation project come together, she noted. "This will be a wonderful park for trail connection, recreation, exercise and nature viewing, and for conserving an important green space and wildlife habitat in the area," Archer said. Icon Construction & Development LLC acquired the property around eight years ago, and Icon and NCPRD have been in the planning stages for the park for more than five years. "This project follows in the footsteps of the same successful public-private partnership that brought the nearby Pioneer Park to life in 2013. Through this creative collaboration, we're now able to bring Hidden Falls to the community so residents can enjoy access to the natural beauty of this urban oasis for generations to come," Archer said. Habitat preservation was of prime importance to both the developer and the parks district, DeFrancesco noted. "The Hidden Falls natural area is an important greenway and habitat for many sensitive species," she said. The site includes mature mixed coniferous forest, with native trees such as Oregon white oak and bigleaf maples, and is home to pileated woodpeckers, deer and other animals. Visit ncprd.com/hiddenfallsproject for more information about the park.